Domestic Scene 1 and 2 was an installation created for Art 133 – Advanced Sculpture. It was displayed in UC Berkeley’s Worth-Ryder Gallery for two weeks in November 2013. 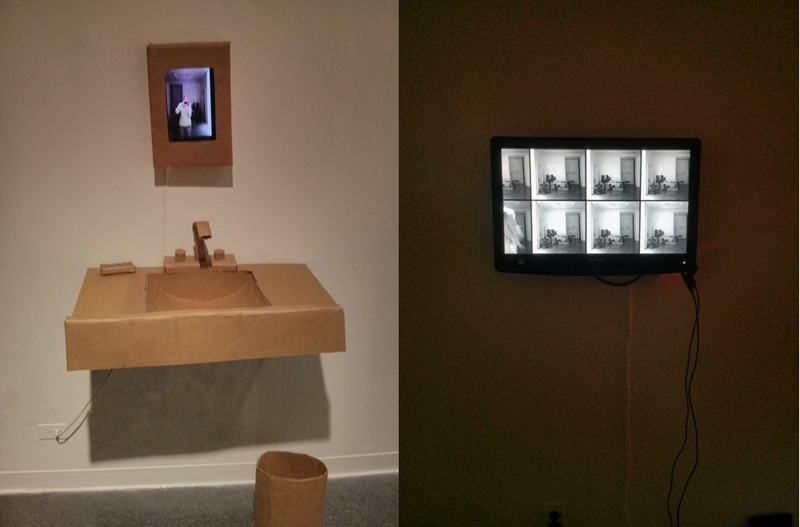 A cardboard bathroom, where the “mirror” was a 10″ Android tablet reflecting the front-facing camera. The tablet was running a custom application that covertly takes a photo when it detects a face. A monitor in the back room the gallery that displays the most recent “surveillance” captured by Domestic Scene 1.